I’m gonna play catch-up with some posts that I meant to write earlier. Like this one from last fall. 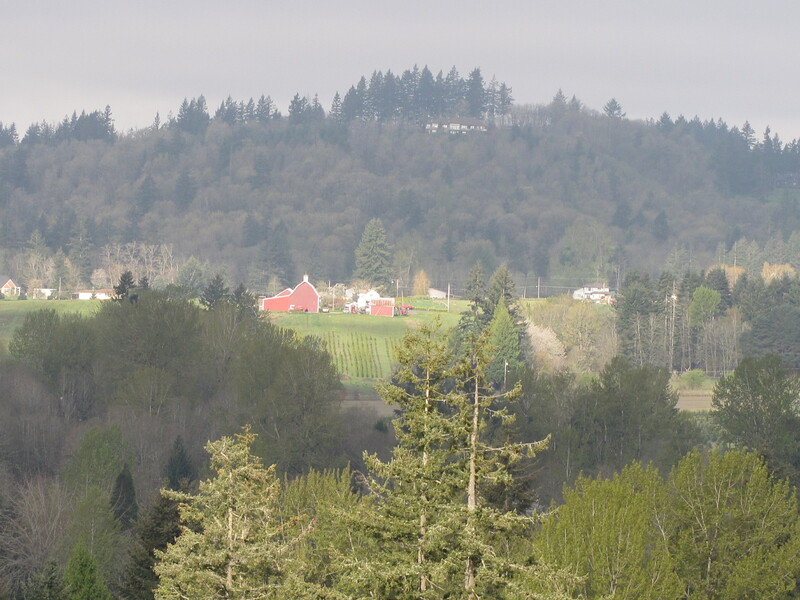 One of my favorite views across Sunshine Valley is this one; I love watching how my view of Olson’s red barn changes with the seasons. I drive by their place several times a week, and one morning was delighted to see Don out raking his field in the company of Canada Geese. 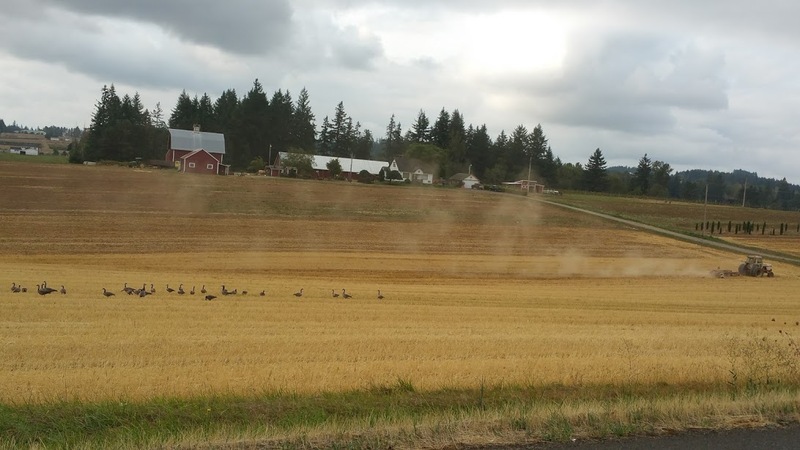 I pulled over so that I could take more photos; and I rolled down my window so that I could hear the gentle honking of the geese, who weren’t all that pleased to see me there. I like how the dust clouds were following along, too. 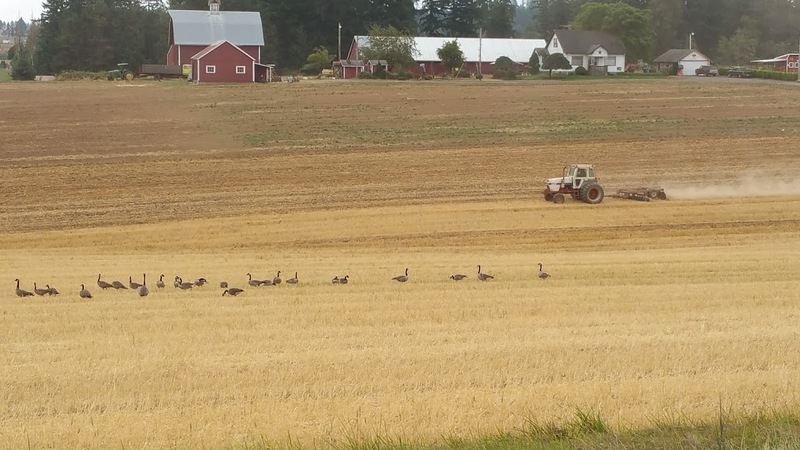 This is my favorite photo because I was able to get a bit closer to both geese and tractor. The Olsons are a special family to me; they have a fruit, veggie, and flower stand starting in the spring on this same road. We watched the eclipse with them there…more about that later! 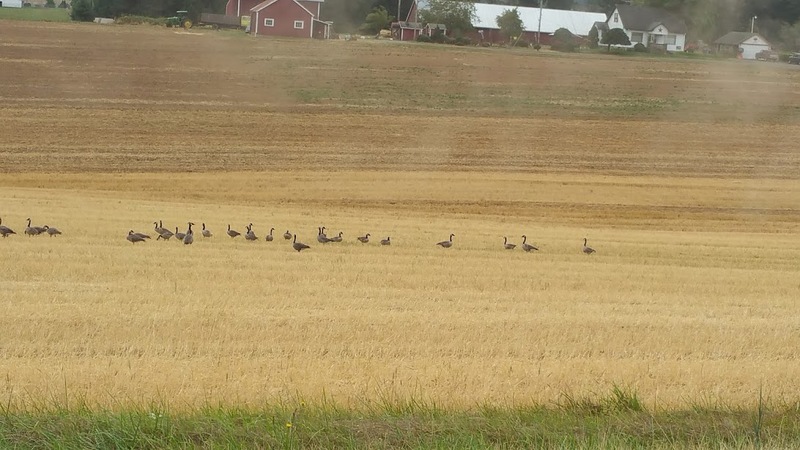 This entry was posted in Da Kine: Sometimes Full-on Pidgin, Farm Stuffs and tagged autumn, Canada-greese, damascus, farm-life, geese, olson, olson-farm, tractor. Bookmark the permalink. Thank you! I just love it any time of year. Thanks for sharing your beautiful view with us. You’re welcome… mahalo nui for stopping by!